The BMES student chapter was established during Spring 2008 and is composed of graduate and undergraduate students from various engineering and science disciplines, alumni, faculty, and industry professionals. 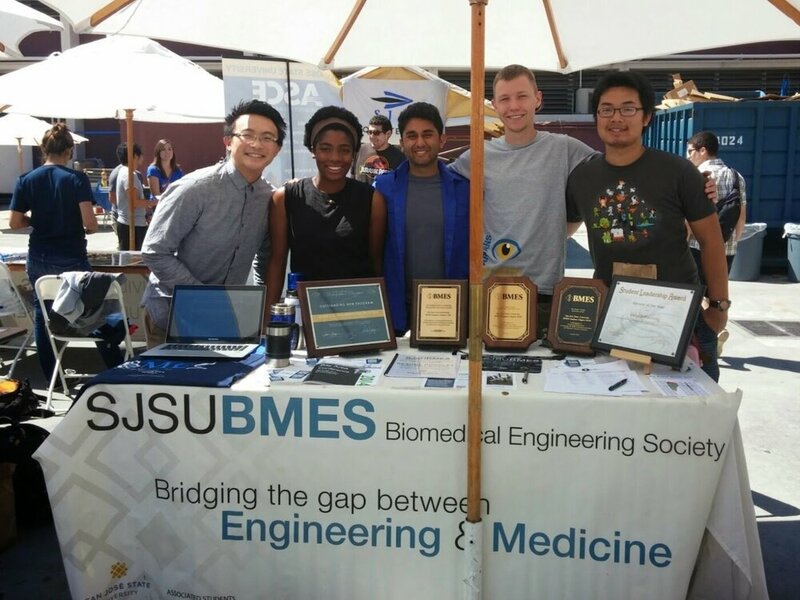 Ever since its first meeting, SJSU BMES has been consistently recognized by both San Jose State University and the national Biomedical Engineering Society for outstanding work in promoting the biomedical engineering career. From industry tours, professional speakers, poster sessions, networking events, and community service, SJSU BMES members are active in a diversity of events. Immerse members in a supportive community which aids in the fulfillment of their academic, professional and personal goals. Organize poster presentations and student research competitions which give all biomedical engineering students a platform to present their work. Promote networking and professional advancement by inviting speakers and industry experts in the field to San Jose State University. Facilitate the transfer of knowledge between industry professionals, students and researchers with the Bay Area Biomedical Device Conference.